This classic decoration will look the part on any Christmas tree. You can personalise this Christmas Decoration with a message up to 25 characters and a name up to 12 characters. All personalisation is case sensitive and will appear as entered. 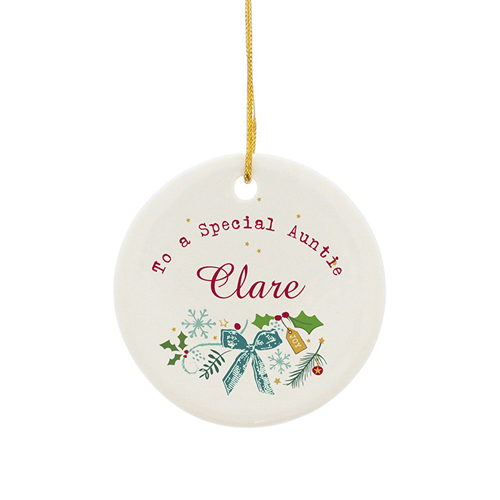 Personalise this Christmas Decoration with a message up to 25 characters and a name up to 12 characters.